Visiting Us at Malaysia Gift Fair, Booth 2035 on 25th - 27th July 2018 from 10am~6pm at KLCC Hall 4. Don't missed the latest "PrintLamCut Automation" concept by Epson X Lami X Summa X LG Hausys ! Exclusive for New & Existing IJSB EPSON SureColor Customers with FREE ! The new VERTAC series of stickers and lamination films are arrived today. 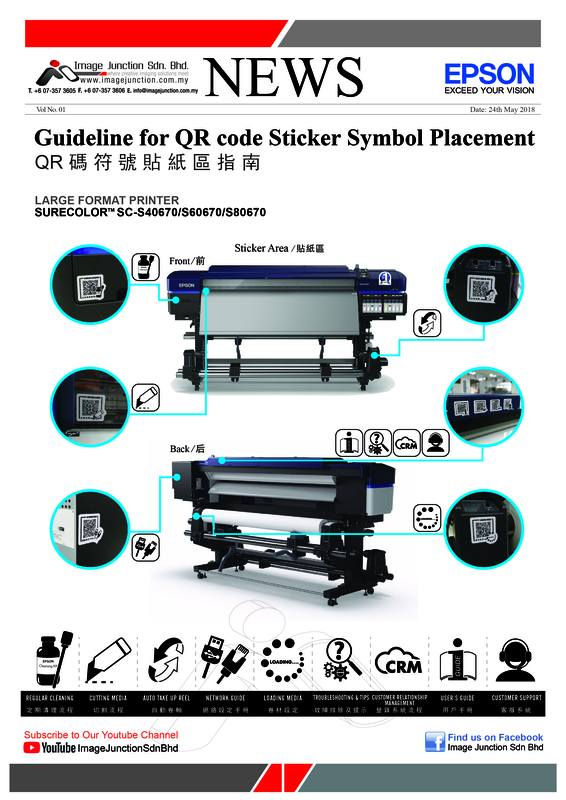 More than 1000rolls of VERTAC hi quality sticker and lamination are available now. Call +607-3573605 to order now ! Avery stock arrived this morning, order now with Our marketing team. Our ON THE MOVE is showing the new "Hot-Lam-Cut" trends from Japan with Japan Lami Corporation global division team. Mr.Kaz are sharing their successful story with Malaysia entrepreneurs and print on demand business owners with Our ON THE MOVE programe. Stay tuned , keep MOVE ! Print Lam cut "ON THE MOVE "
Today We are showing Our latest printing solutions HOT-LAM-CUT on demand and get the 100% positive feedback. Malaysia Change & Challenge ! All the 9 countries members and Japan domestic team members has join this big conference. HOT-LAM-CUT on demand has take off from LAMI CORP Osaka , Japan and going to landing at every countries in soon. The new evolution automotive Laminators and Roll plotters are the trend in future. Come and get it but beware of HOT ! Received Two trucks of 3M Series quality sticker this morning. The 2nd containers after resume work after CNY. We are Your trustful quality medias supplier ! Call Our sales representatives today ! Yes, Image Junction had resume work on 1st Feb 2017. And today We had received the 40foots container of VERTAC quality stickers and laminating films. Order now or it will selling faster than You imagine. Call Us at 07-3573605 for order now ! Today We received a 3M container and GIOLITE heat transfer shipment from Korea as well. A well preparation to ensure Our valued customers enjoy the enought stock supply during the year end peak season. ON THE MOVE on the Way ! Malaysia 1st Digital Print & Cut mobile showroom "ON THE MOVE" are now on the way toward Klang Valley. Stay tuned Our routes and make Your appointment with Our Marketers to view the latest Print & Cut technology by SUMMA , ROLAND & LAMI .